This is my latest pattern! A yummy strawberry milkshake! It is featured in the first photo with a couple of my other patterns which I am not selling right now, but they all three looked so great together that I couldn’t resist taking a pic! 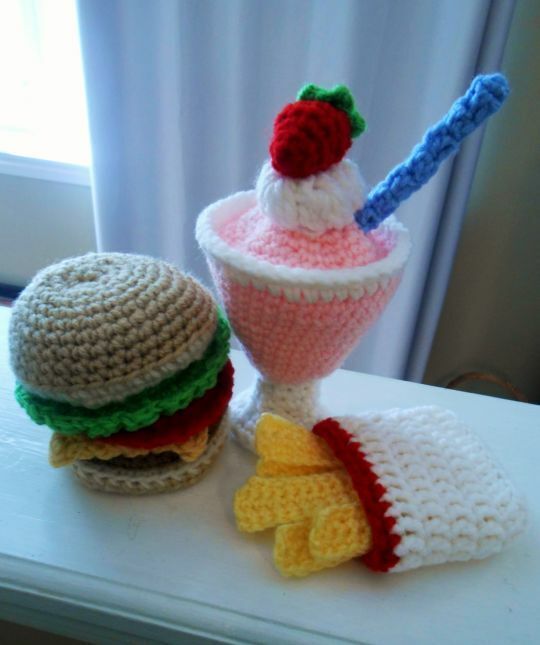 The milkshake pattern is now available in my Craftsy store and it is the second pattern available in my Etsy shop. Please visit either link below to check out the pattern! I hope all my fellow strawberry fanatics enjoy this one!